On the road again. We are on vacation, so there are no alarm clocks and no early morning rush to leave. 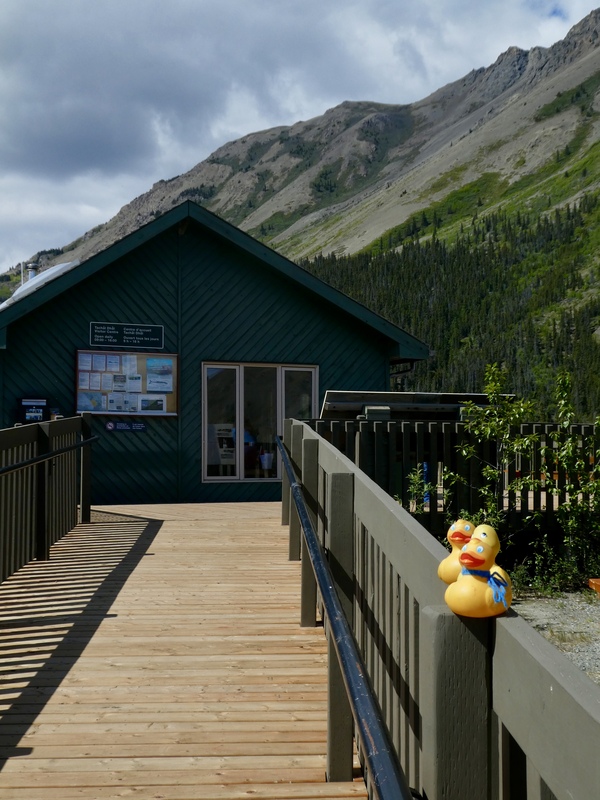 Shortly after leaving Beaver Creek, Yukon Territory, we saw one of the stars of our trip. 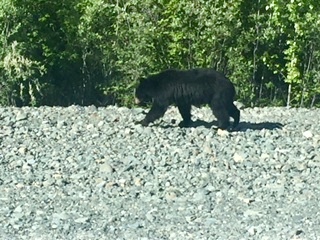 This bear was walking along the side of our road. Our moms said he is a rock star. He knew we were there, of course, but he did not look at us. We stopped the Jeep and watched him walk at a steady pace, completely ignoring us. He would get pretty far ahead of us, we would drive to him, and never an acknowledgement. We just loved him. Later, this rest area caught our attention. 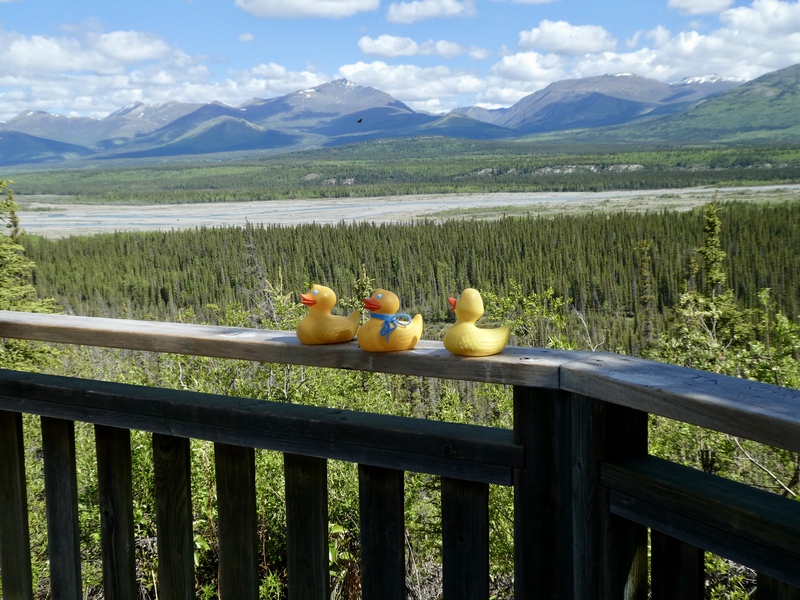 This is Kluane River View point. Stop to admire the river was so necessary. 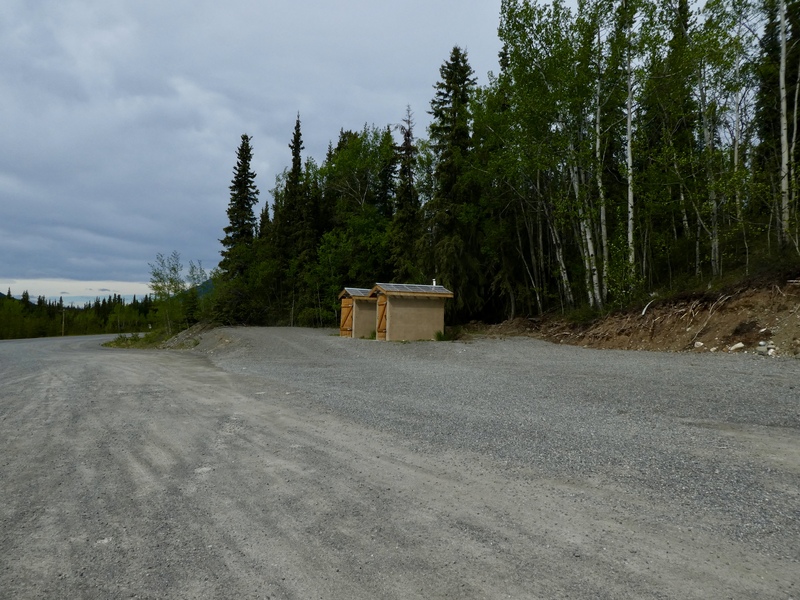 Also at this stop, there was a sign about caribou. 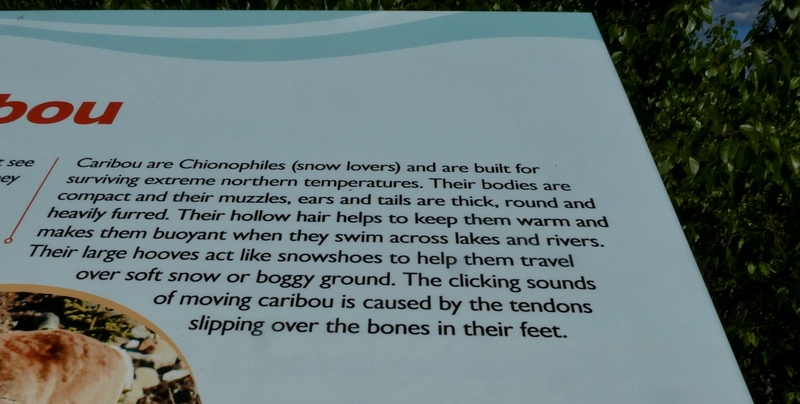 Caribou are similar to reindeer, but these were some facts we did not know. Be sure to read the last sentence. Moving tendons make that much noise??? Amazing. 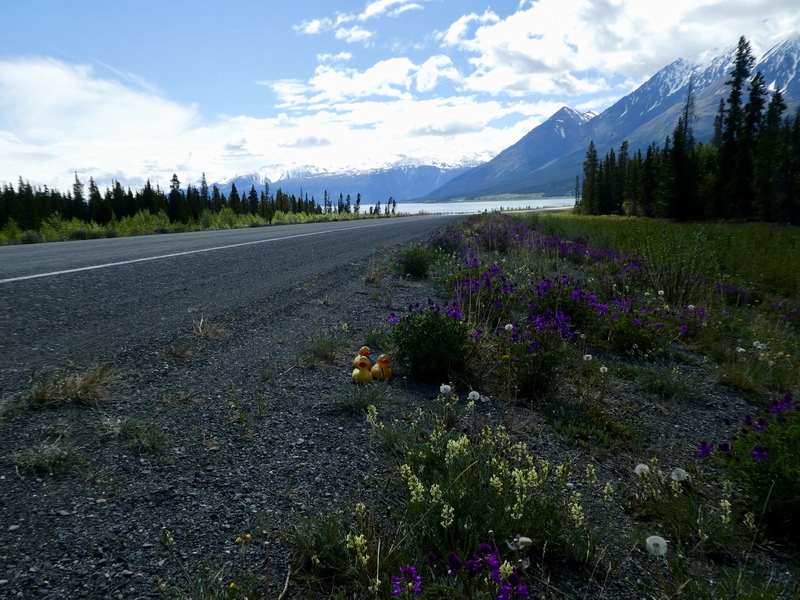 Lake Kluane also made us stop. This road trip is about seeing unspoiled nature, with very few other humans around. So we stopped often. Later, a small building with a nearby huge Canadian flag waving in the breeze. Of course entering the building was another must do for us. 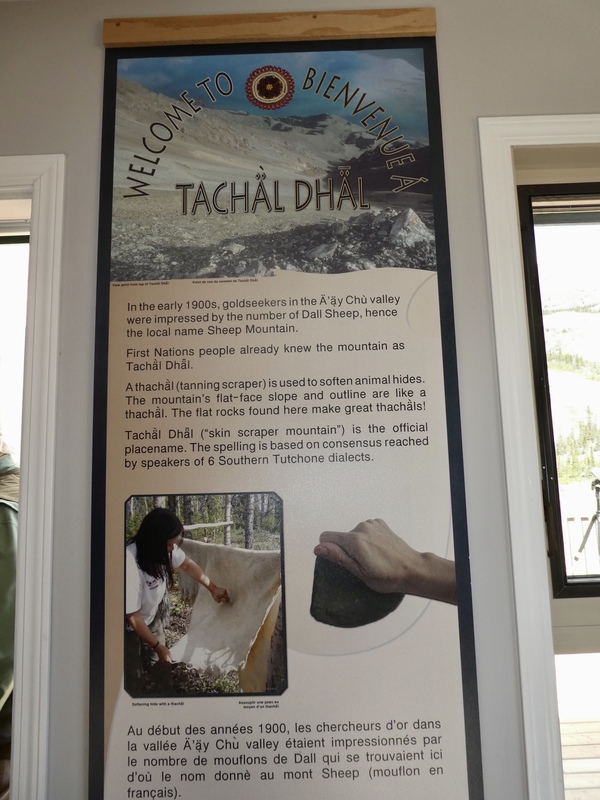 This is Tachal Dhal, or Sheep Mountain. Again, the sign says it best. 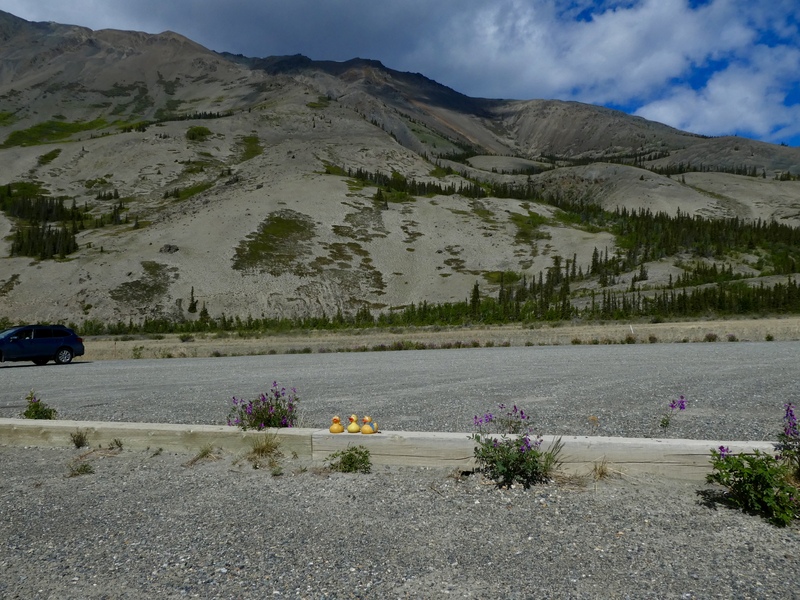 We love to watch Dall Sheep, but it was not to happen today. The lady at the center, said it was getting warm enough (but still need jackets for humans) that the sheep moved to the other, higher, mountains. We looked. Nice mountain, but no sheep here today. Did you notice that the sign is written in English and in French. That was the normal for most signs we saw in Canada. Driving through unspoiled scenery with very few other cars is peaceful and beautiful. But, you can guess, this was one of the most welcome sights along the road. And all were very clean and well maintained. 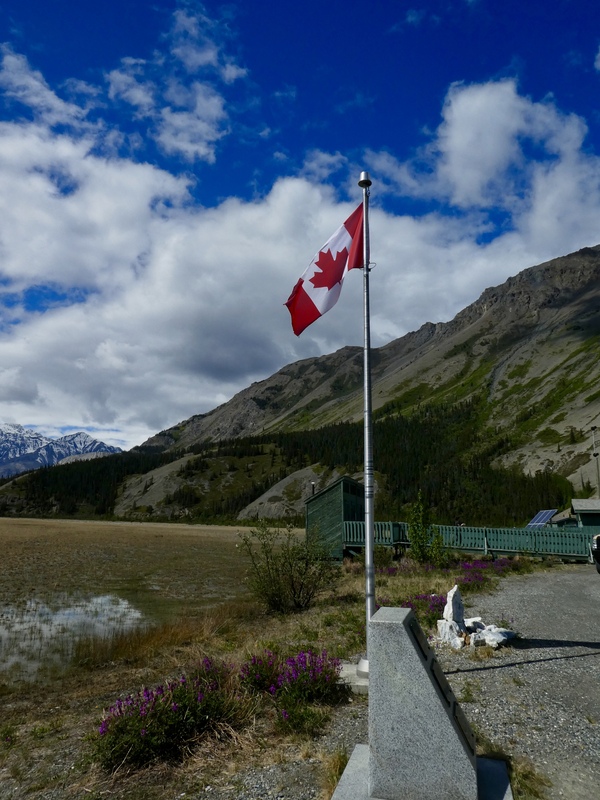 Thanks Yukon Territory!